When it comes to choosing the right crossbow one name that you are going to see cropping up over and over again is Barnett. 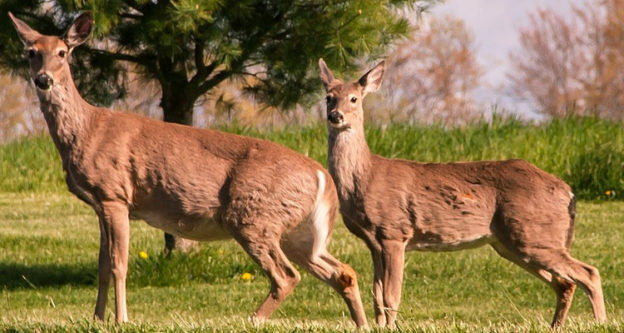 This is because they are one of the leading brands when it comes to crossbows. To date, Barnett have sold well over one million of their weapons and it is not difficult to see why. 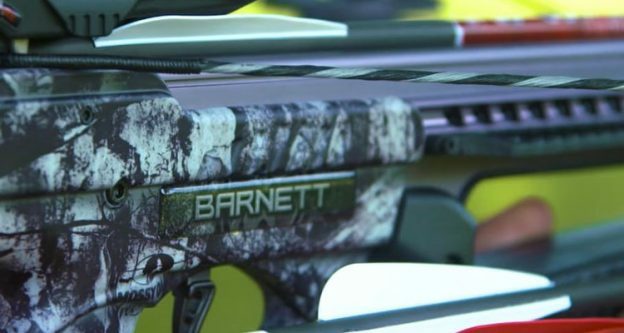 Barnett was established in 1962 and ever since then they have been leading the pack in terms of innovation and pioneering patents all of which have helped to make Barnett one of the leading crossbow manufacturers around. Today, Barnett has a wide range of crossbows and accessories which cater to the ever changing needs of the modern hunter. As noted, Barnett crossbows are among the best in the world, but even if you have settled on choosing your new crossbow from this particular brand, there is still the issue of choosing the right model to fit your needs. The best place to start is to simply start looking at as many Barnett crossbow reviews as possible in order to get a feel for what to expect from each of them. However, to get you start we have put together a brief summary of the top 5 Barnett crossbow models out there. All these models come with their own optical scope. 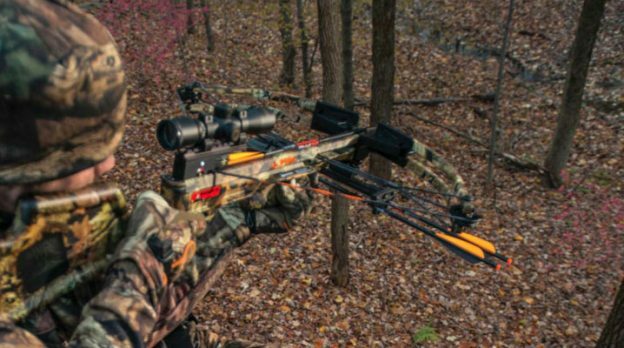 The first model that we found cropping up time and time again in Barnett crossbows reviews was the Barnett Ghost 410 CRT Crossbow. It has a shooting speed of 410 FPS and a 180lb draw weight making it one of the most powerful crossbows that you can purchase. The majority of users who have reviewed the Ghost 410 comment on its impressive accuracy. Another of the key benefits of this particular model is that it is light weight and has a compact design which makes it easy to use even in tight spaces when hunting game. A common comment about the Barnett Ghost 410 is that it feel much more rugged than its weight and price point suggest. The Barnett Jackal is another crossbow that is ranked very highly not just among the Barnett range of products, but over all. We have seen a number of Barnett crossbow reviews which have stated that the Jackal is one of the best options for beginners who are new to bow hunting and want an affordable option without sacrificing quality. The Jackal shoots at 315 FPS and has a 150lb draw weight. Another great feature which makes the Jackal a particularly good choice for newbies is that it can be assembled out of the box in about ten to fifteen minutes. It also features an automatic safety to ensure that it does not dry fire. The general consensus seems to be that the Jackal is an affordable option with good solid performance. The Barnett Buck Commander Extreme is a lightweight and compact crossbow with a very impressive speed of 365 FPS. It also features a 185lb draw weight delivering 118 ft. pounds of kinetic energy while still only weighing 7.1 pounds. This is one crossbow model which really shows that less can sometimes be so much more! 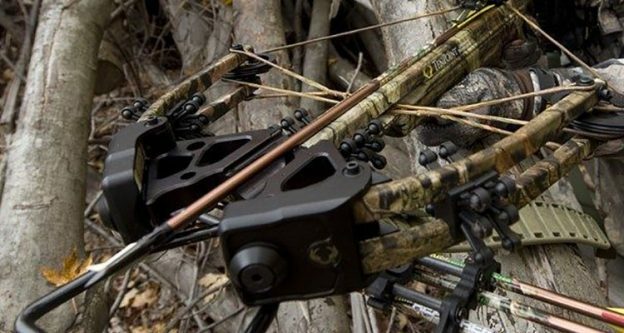 The Barnett Wildcat C5 is the best selling crossbow in the Barnett range. This particular model is built on Barnett’s traditions and it features all of the best features. The Wildcat C5 has a lightweight composite GAM stock and thumb hole grip with high energy wheels. The Wildcat C5 has a sleek, low profile design and is the perfect example of speed, performance and comfort all rolled in to one high quality, reasonably priced crossbow. It also features an innovative crank attachment built into the stock. However, do not be mistaken in thinking that the compact design means having to sacrifice power. The Recruit has 80 pounds of energy allowing it to take down whatever prey you set your sights on. 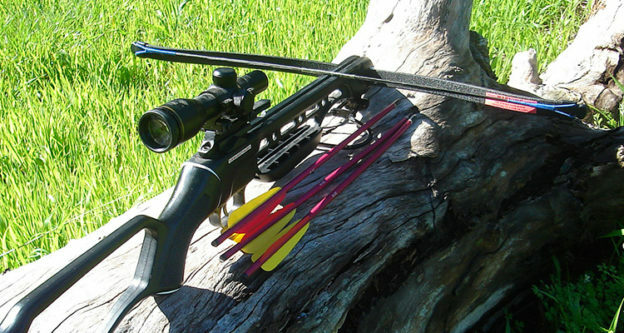 Barnett Crossbow are very much considered to be a market leader. They have a wide range of high quality crossbows available all of which are designed to meet the needs of the modern hunter. It can be a little bit daunting deciding which one to purchase, but hopefully we have given you enough to think about with the five crossbows mentioned above. We also encourage you to read through as many Barnett crossbow reviews as you can in order to make an informed decision. Whichever of the Barnett crossbows you end up choosing we are sure that you will be impressed with the high level of quality that the Barnett brand represents while still offering affordable pricing.